Westfield State University President Ramon Torrecilha says the 3+3 initiative with UMass Law is just one example of partnerships aimed at streamlining the process of getting a college degree — or two of them, as the case may be. Since he took the helm as president of Westfield State University in 2015, Ramon Torrecilha has talked often, and consistently, about a changing dynamic in higher education and especially at public institutions. 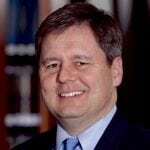 In this environment, he has said to BusinessWest and a wide range of other media outlets and audiences of various types, public schools must be vigilant in their efforts to make a college education more affordable, more value-laden, and better able to help students succeed in the field they’ve chosen. And, he has argued, one of the best ways to accomplish these ends is through partnerships with other colleges and universities, especially other public schools. All these sentiments — not to mention the school’s new operating philosophy — are reflected in WSU’s latest partnership initiative, one with the University of Massachusetts School of Law, or UMass Law, as it’s called, the only public law school in the Commonwealth. It’s called the ‘3+3 law program,’ and UMass Law has created several such initiatives with other public institutions in the state, including UMass Dartmouth, UMass Boston, UMass Lowell, Fitchburg State, Worcester State, and the Mass. College of Liberal Arts in North Adams. Those two numbers in the name of the program get right to the heart of the matter. They refer to the number of years a participant is in school. Add them up, and one gets six, which is exactly one less than it traditionally takes someone to earn a bachelor’s degree and then a law degree, otherwise known as a juris doctor or JD. “And that one year is very significant,” said Torrecilha, adding that, by shaving two semesters off the process, individuals and their families can save perhaps tens of thousands of dollars — and degree recipients can get on with their careers sooner. 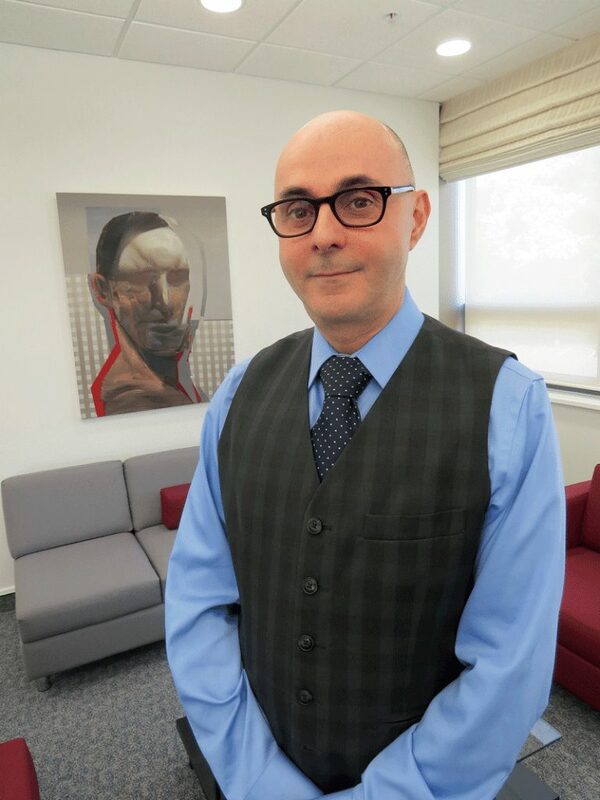 And that career may not necessarily be in the law, said Torrecilha, adding that students in majors not traditionally associated with law — everything from English to gender studies — may well find the program worthwhile because of what a law-school education brings — everything from a focus on critical thinking to experience with forging and then presenting arguments to practice in writing. Dr. Emily Todd, chair of the WSU English Department, agreed. “People generally don’t think about English majors going on to get a law degree, but it’s actually a great preparation for law school,” she explained. “We see the strength of our program as setting people up to be successful; English majors develop skills as writers, good researchers, and excellent close readers, and that helps them to be persuasive writers and to develop their skills in synthesis and analysis. Here’s how the program works. Following the completion of 90 credits at Westfield State, enrolled students begin their first year at UMass Law. Once the first 30 credits are completed there, students will obtain their bachelor’s degree from WSU. Those 30 credits will dually serve as the first-year requisite toward their law degree from UMass Law. Elaborating, Torrecilha said those 30 credits earned during that first year at UMass Law will effectively serve as the elective courses that students in any degree program are required to take. They will come in what would be the fourth year of one’s progression toward a bachelor’s degree, rather than in the first two or three, which is traditionally the case. Torrecilha said the 3+3 program was conceived with a number of goals in mind, including a desire to stimulate more interest in a law degree at a time when overall enrollment has been declining at all the most elite schools — although the needle has started pointing back up at some institutions. And also to perhaps provide a boost for UMass Law, which was launched in 2010 after the private law school Southern New England School of Law offered to donate real estate, facilities, technology, and library assets to UMass Dartmouth for the purpose of creating a public law program in the Commonwealth. The UMass board of trustees approved the plan in late 2009, and the Commonwealth’s Board of Higher Education did the same a few months later. The school’s first class matriculated in 2010. But the overriding goals are to streamline the process of getting both degrees and making it more cost-effective. Those are the terms one hears most often in association with the initiative. If all goes well, Torrecilha said, students may be entered in the program by the fall of 2019. He said there are no goals for enrollment at this time, and he’s not exactly sure what to expect. But he has seen a good deal of interest in the program since it was announced several weeks ago. Meanwhile, the school will continue to look for more ways to partner with other institutions, including those in the UMass system and the region’s community colleges, to create more ways to streamline the process of earning degrees and making them more cost-effective, said Torrecilha. Sudha Setty wasn’t sure where her initial interest in law would take her — she simply wanted to make a difference in people’s lives. Her current role as a professor certainly fits that bill, though it’s not a path she expected to take early on. Now, as she prepares to take over the dean’s chair at Western New England University School of Law, she’s ready to navigate a still-challenging climate for law schools and help other young people achieve their world-changing goals. Sudha Setty entered the field of law wanting to make a difference, and she has — only, in much different ways than she first imagined. So she understands the passion of students enrolling in law school today with the same passion and desire to change society for the better, but admitted that all lawyers make a difference, even if it’s for that one individual client struggling with a difficult time in their life. Starting in July, Setty will bring that spirit of advocacy to her new role as dean of the Western New England University School of Law after 12 years as a professor there. She will succeed Eric Gouvin, who is returning to the WNEU faculty after a five-year stint as dean. Setty called the appointment an honor, noting that law schools are in a unique position to impact the future of a just society, and she has always seen WNEU as a place that launches the careers of thoughtful lawyers who work for the betterment of both their clients and society as a whole. Setty planned to be a lawyer from her high-school days, through a combination of extracurricular experiences like mock trials and a deep interest in social justice. But her undergraduate work focused not on pre-law, but on the humanities, with the goal of honing her critical thinking and writing, skills that would serve her well no matter what field she worked in. After graduating from Stanford University with a history degree, she taught overseas and contemplated different options. When she did return to the States and enrolled in Columbia Law School, it was with the belief that she’d build a career as a civil-rights advocate. “I recognized the ability of lawyers to speak for people who are powerless, or to work as prosecutors seeking justice for victims. I had some ideas about what I wanted to do, but nothing concrete,” she said, adding that many people enter law school with a different career in mind than the one they eventually pursue. Graduating with six figures of debt, however, changed Setty’s initial priorities a bit, and she went to work at a corporate firm in New York City, spending seven years at Davis Polk & Wardwell as a litigator in anti-trust disputes, securities fraud, and internal investigations of companies. Meanwhile, she took up extensive pro bono work litigating federal civil-rights cases and mentoring city high-school students. Sudha Setty’s promotion comes at a time when law schools are still challenged by depressed enrollment, but there are signs the trend might be turning a corner. Moreover, she was able to repay her law-school debts, which got her thinking about what the next phase of her career might be, and what options made sense. Some of those same people who accepted that paradigm are worried now that the power rests in the hands of a president who can often seem, well, erratic. 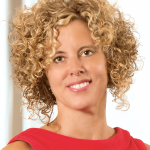 Setty has received numerous awards for her work, including the Tapping Reeve Legal Educator Award from the Connecticut Bar Assoc. and two Western New England University School of Law Professor of the Year honors. She co-founded the School of Law’s Color of Law Roundtable speaker series, bringing attorneys and judges of color to campus to speak about their experiences and career paths. 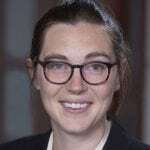 She also serves on the editorial board of the Journal of National Security Law and Policy, the executive committee of the American Society of Comparative Law, and was a Fulbright senior specialist at the Chinese University of Hong Kong Faculty of Law. Even as she amassed those accomplishments and began taking on more administrative responsibility over the past few years, Setty never thought about a deanship at WNEU, simply because Gouvin was entrenched there and doing a solid job. But when he decided to return to the classroom full-time, Setty was approached by several colleagues about the position. The school conducted its internal search before looking outward, and Setty found strong support through the entire process. But she knows the job won’t be easy. Nationally, law-school enrollment plummeted by nearly half between 2003 and 2014, due in part to a declining job market for lawyers, one exacerbated by the 2008 financial crisis. By 2012, graduates were finding it very difficult to secure positions right out of school, and that impacted interest in the field. Part of WNEU’s strategy focused on giving students more return on investment, including a tuition freeze, instituted during the 2013-14 school year and extending through 2017-18. With the lowered revenues, the school had to keep a close eye on expenses, and it was able to shrink staff through retirements, while avoiding debt from costly capital improvements. Western New England also benefits from its position as the only accredited law school in the Commonwealth west of Greater Boston, which ensures a broad range of opportunities in the form of internships and clerkships. 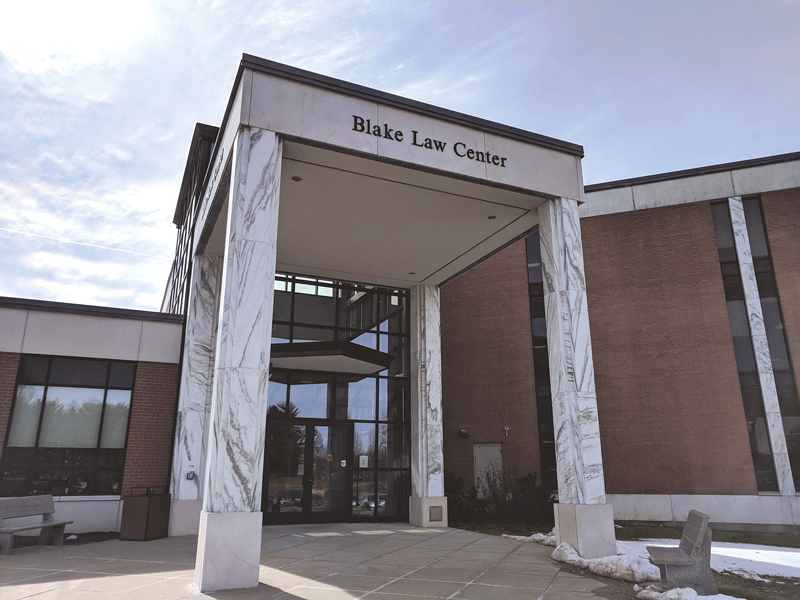 The law school also continues to expand its use of clinics — in areas such as criminal defense, criminal prosecution, elder law, and family-law mediation — in which students blend classroom instruction with work on real cases, under the guidance of local attorneys. The vast majority of students get involved in clinics and externships, understanding the value of developing not only real-world legal knowledge, but the soft skills that will make them more employable. They also provide a social benefit, Setty said, as in the case of the immigration clinic, which helps real-world clients navigate what can be a difficult path in today’s climate. The career Setty has built is, in many ways, different from the one she envisioned as a high-school student with a passion for social justice. But she’s happy to be impacting the lives of hundreds of students preparing to change the world — or, at least, make life a little better for a client in need. By Kimberly A. Klimczuk, Esq. It’s been almost three years since Massachusetts’ Earned Sick Time Law went into effect (how time flies), but employment-law attorneys still frequently receive questions about the law and the administration of earned sick leave. Does the sick leave law apply to my organization? This is an easy one. Unless your organization is a federal or municipal employer, it must provide earned sick leave to all employees (including part-time, temporary, per diem, and seasonal employees), regardless of the size of your organization. If the employer has 11 or more employees, the sick leave must be paid at the employee’s regular hourly rate (with the exception of tipped employees, who must receive at least minimum wage). As a reminder, the law entitles employees to earn one hour of sick leave for every 30 hours worked, up to 40 hours per year, and employees may use the earned sick leave to attend routine medical appointments (for themselves or for a child, spouse, parent, or parent-in-law); to care for their own illness, injury, or medical condition or that of a child, spouse, parent, or parent-in law; or to address the effects of domestic violence. Can I discipline employees for excessive absences? It depends on what you mean by ‘excessive.’ The sick-leave law prohibits employers from retaliating against employees who use earned sick leave, so if an employee has earned sick leave available that applies to an absence, an employer cannot discipline the employee for taking the time off, nor can it consider the use of sick time as a factor in the discipline for non-sick-leave-related absences. Therefore, employers must be very careful when issuing attendance-related discipline. Employers may discipline for absences exceeding the amount of sick leave to which the employee is entitled or for absences that occur before the employee has accrued sufficient sick leave to cover the absence. However, employers must make sure the employee’s use of sick leave is not a factor in the discipline. Although it seems obvious, this can be tricky. Consider two employees. The first employee has one unplanned absence in a two-week period. The second employee has one unplanned absence in a two-week period and five sick-leave-related absences in that same two-week period. Which employee is a supervisor more likely to want to discipline? While employers generally can discipline employees for unplanned absences unrelated to earned sick leave, they cannot take the use of sick leave into consideration when determining appropriate discipline. 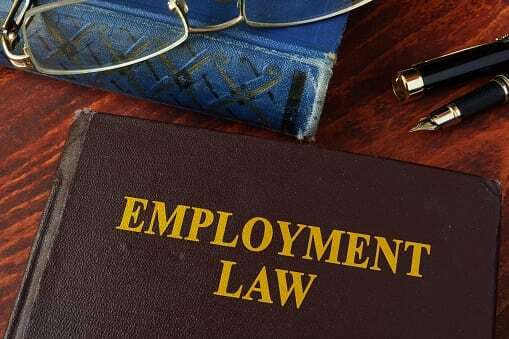 Thus, in the above example, it would be unlawful to discipline the employee who took sick leave if the employer did not also discipline the employee who had just the one unplanned absence. Relatedly, employers should be sure to document any attendance-related discipline and make clear in that documentation that the discipline is not related to sick-leave-related absences. The best way of doing this is to note the specific dates for which the discipline is being issued. If an employer simply writes that the discipline is for “poor attendance,” and the employee had sick-leave-related absences, it will be difficult for an employer to demonstrate that the discipline for poor attendance did not take into account the absences due to sick leave. If the employer specifies the absences at issue, it can show that it considered only the non-sick-leave absences. What if an employee is out sick but wants to save paid sick leave for later use? We often hear of employees with accrued paid sick leave who call out sick but then ask the employer to count the absence as an unpaid day off so that the employee can save the paid sick for use later in the year. Employers should not grant these kinds of requests. First, because the sick-leave law requires employers to pay employees who are absent due to illness (assuming the employee has earned sick leave available), an employer who fails to pay an employee for a sick-leave-related absence violates the law, even if the failure to pay was at the request of the employee. Second, if the employee saves the paid sick leave for use at a later time, the employer may lose the ability to discipline for excessive absences. The employer can discipline for excessive absences only after an employee has exhausted any available paid sick leave. If the employer allows the employee to save paid sick leave, it will take longer for the employee to exhaust the leave, and the employer will, in effect, be required to accept more absences than it otherwise would have. The best practice for employers is to require the use of paid sick leave for all sick-leave related absences and then later decide whether it wants to allow unpaid leave once the paid leave is exhausted. Kimberly A. Klimczuk, Esq. is an employment law attorney with Springfield-based Skoler, Abbott & Presser, P.C. ; (413) 737-4753. The field of law that focuses specifically on healthcare is diverse, challenging, and constantly changing, and that presents growth opportunities at a time when some fields of law are seeing job stagnation. But many law students aren’t aware of these possibilities, which run the gamut from malpractice litigation to end-of-life planning; from medical-records compliance to helping people navigate the complexities of the mental-health system. And those opportunities are only expected to keep expanding. Barbara Noah says she took a winding path to her career as a law professor, one who specializes in the rapidly changing world of health law. “When I graduated from law school, I was thinking more of the style of practice and the sort of things I’d like to do,” said Noah, professor of Health Law at Western New England University (WNEU) School of Law, during a recent panel discussion about health-law careers. After graduating from Harvard Law School in 1990, she wasn’t interested in litigation, and instead went to work for a Washington, D.C.-based law firm with a strong focus on regulatory compliance. 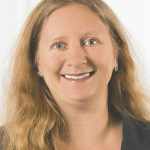 She found the field so interesting that she eventually transitioned into a long career, first at the University of Florida and since 2005 at WNEU, teaching the many facets of health law. To name just a few of those, healthcare lawyers interpret the complex healthcare regulations and statutes that govern the administration of health services, advising hospitals, physicians, pharmaceutical companies, insurers, and other providers on issues ranging from licensing, reimbursement, and risk management to malpractice litigation and general corporate management. 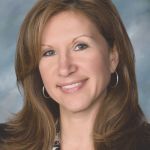 One panelist at the WNEU event, Judith Feinberg Albright, who works for Devine, Millimet & Branch in Manchester, N.H., started her career as a paramedic before enrolling in law school and taking a particular interest in health law. She developed a secondary interest in litigation through moot-court experiences during those years, and now defends healthcare providers against malpractice claims in Massachusetts and New Hampshire. Some jobs are more unique than others. 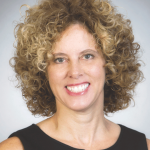 Deb Grossman, another panelist, serves as general counsel with Physician Health Services, an arm of the Massachusetts Medical Society that helps physicians deal with personal and behavioral-health issues and navigate their way back to work. After working for a large law firm earlier in her career, she explaned, she went looking for a lifestyle change, and took a job with the state handling the licensure of medical professionals, before taking on her current role. It’s just one example, Noah told BusinessWest afterward, of how a shifting healthcare field is cultivating many opportunities for lawyers that students might not hear about on a regular basis during their law-school years — which is why the panel was assembled. One of those changing areas of the law is healthcare compliance — for example, how hospitals are complying with the privacy rules of the Health Insurance Portability and Accountability Act, or HIPAA. The second growth area concerns the overlap between elder law and health law, driven mostly by the aging of the Baby Boomer population. Not only are older Americans making plans for their estates, Noah said, but they’re becoming more keenly aware of their own mortality, and considering issues like advance care directives, healthcare proxies, and end-of-life preferences, such as do-not-resuscitate orders and decisions on nutrition and breathing assistance. 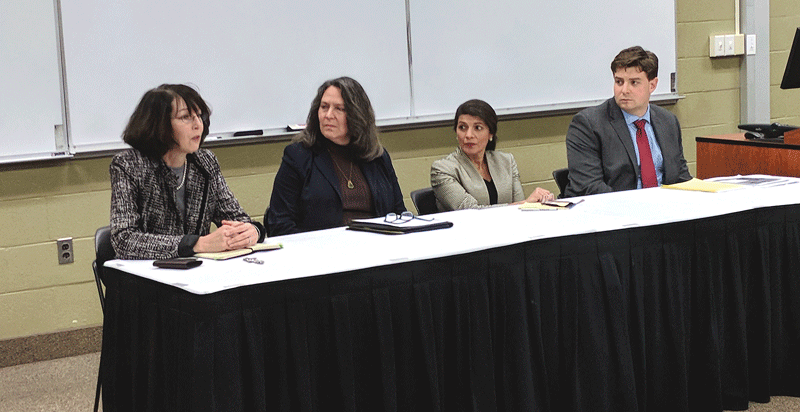 From left, Barbara Noah, Judith Fineberg Albright, Deb Grossman, and Dylan Mawdsley talk about their very different health-law careers at a recent panel discussion at WNEU School of Law. The third big shift that could affect health law is, of course, the ever-changing Affordable Care Act, which has been threatened by the recent federal tax law that repeals its individual mandate. According to Nick Sumski, an LSAT teacher for Kaplan Test Prep, health law is a compelling area of law because everyone has to touch the healthcare system at some point in their lives. Dylan Mawdsley, another panelist at the WNEU event, is assistant general counsel for the state Department of Mental Health, advising DMH staff in their decision making and compliance with laws, and representing the agency before probate and family courts. He originally went to college as a political science major, but pivoted to law school afterward, starting his career in estate planning — right when the Great Recession hit, which was a bad time for that area of law. 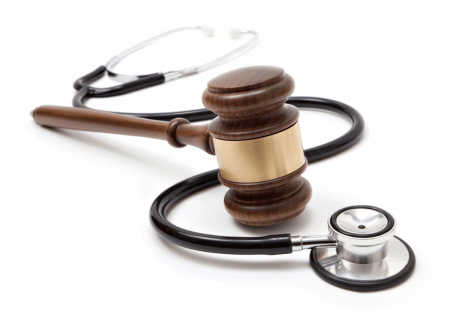 The work he does now, often serving as a liaison between doctors, patients, and the court system, is gratifying and presents a great deal of autonomy. When Grossman was in law school, she recalled, she learned a lot about corporate law and litigation, but not much else, and certainly not what she’s doing today. Sumski said students shouldn’t feel like they have to pick any kind of specialization right away. That demand, Noah said, is driven partly by the fact that health law is so interconnected, with so many moving parts. And one that’s constantly changing, presenting plentiful opportunities for law students and career changers willing to think outside the jury box. During the holiday season, employers may have been faced with a variety of religion-related requests such as whether they may display certain religious icons in their work areas. Throughout the year, employees may want time off to observe certain holy days rather than conforming to the employer’s holiday schedule, request breaks to pray, or seek an exemption from an employer’s dress or grooming standards so that they may express themselves consistent with their religious beliefs. While employers do not question most requests, what should an employer do if it suspects that the requested accommodation is being made to upset a co-worker or that an employee is requesting certain days off to go shopping or take a long weekend? What Constitutes a Religious Belief? Both state and federal law prohibit discrimination against employees and applicants based on religion, and employers are required to reasonably accommodate bona fide religious beliefs. A ‘bona fide religious belief’ means that the individual has a religious and sincerely held belief or practice. Title VII defines ‘religion’ very broadly. It includes traditional, organized religions as well as those that are new, uncommon, not part of a formal church or sect, or held only by a small number of people. Religious beliefs don’t need to be part of organized religion, and moral or ethical beliefs as to what is right or wrong could constitute religious beliefs. According to the U.S. Equal Employment Opportunity Commission (EEOC), however, “social, political, or economic philosophies, or personal preferences” are not religious beliefs. What Religious Accommodations Must an Employer Provide? Employers may not refuse to accommodate an employee or applicant’s sincerely held religious beliefs or practices unless accommodating them would impose an undue hardship. Some examples of accommodations that an employer would have to provide, absent undue hardship, include excusing a Catholic pharmacist from filling birth-control prescriptions or permitting a Muslim employee to take a break schedule that will permit daily prayers at prescribed times. With the holidays approaching, an employee may request other accommodations, such as the ability to take certain days off (other than Christmas) or to display religious symbols in their work areas. What should an employer do in response? Read on. When May an Employer Deny a Request for a Religious Accommodation? Employers must grant a request for a religious accommodation unless doing so would pose an undue hardship on the employer. The ‘undue hardship’ burden is lighter when it comes to religious accommodation than it is when talking about disability-accommodation requests. For religious-accommodation purposes, an undue hardship exists if it would cause more than de minimis cost in terms of money or burden on the operation of the employer’s business. Generic co-worker complaints usually are not valid reasons to deny a request for religious accommodation. What If an Employer Suspects the Employee Wants an Accommodation for Non-religious Reasons? Certain behaviors may make an employer question an employee’s assertion that the employee sincerely holds a religious belief that forms the basis of a requested accommodation. The EEOC has suggested that these behaviors may include whether the employee has behaved in a manner markedly inconsistent with the professed belief, whether the accommodation sought is a particularly desirable benefit that is likely to be sought for secular reasons, whether the timing of the request renders it suspect, and whether the employer otherwise has reason to believe the accommodation is not sought for religious reasons. The courts, too, have recognized that an employee might use ‘religious beliefs’ to obtain an accommodation for a personal preference rather than a religion. In a recent case, a hospital employee refused to receive a mandatory flu vaccination based on her religious beliefs, which included the notion that her body is a temple. The hospital excused the employee from the mandatory vaccine and instead required her to wear a mask. She claimed that the mask was not an acceptable alternative because it interfered with others’ ability to understand her. During the litigation, the employer sought a detailed description of the ways in which the employee adhered to her belief that her body is a temple, and, despite the employee’s protest, the court required her to answer the question. It’s probably the best practice to ask the same questions to everyone who makes a religious-accommodation request, or question whether an employee has a sincerely held religious belief, when there is objective evidence that the request may have been made for ulterior reasons. How Should Employers Handle Requests for Religious Accommodations? 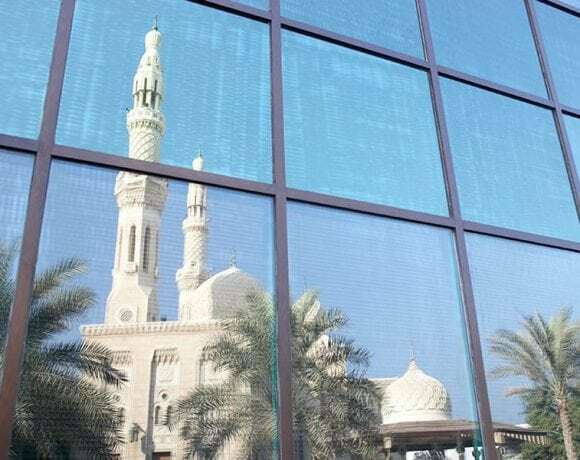 When an employer receives a request for a religious accommodation, the employer should let the requesting employee know it will make reasonable efforts to accommodate their religious practices. Employers should assess each request on a case-by-case basis. Remember, while an employer should consider the employee’s requested accommodation, employers are not required to provide an employee’s preferred religious accommodation if there’s another effective alternative. However, be wary of affording employees who practice certain religions different treatment than afforded to those who practice other religions. Employers should train supervisory personnel to make sure they are aware that a reasonable accommodation may require making exceptions to regular policies or procedures. While large in scale and scope, the unfolding Harvey Weinstein story nonetheless offers invaluable lessons to employers in every sector about their responsibilities and the steps they must take to protect their employees and themselves. That’s the main takeaway from this matter, according to several employment-law attorneys, who note that the main objective should be zero tolerance. Kathryn Crouss says that, in many respects, the Harvey Weinsten story — three words that cover a lot of territory, to be sure — is outwardly extraordinary in several respects. Starting with the individual at the center of it all. He was (the tense is important here, so please note it) not only the leader of the company in question — Miramax and then the Weinstein Company — but an executive who seemingly had the ability to alternately make or break a career depending on his disposition at a given moment. Other manners in which ‘extraordinary’ fits include everything from the number of alleged victims of harassment (or worse), to the number of people who evidently shirked their responsibilities in this matter (from other officials at the company to board members), to how long it took for this story to break. Indeed, several reporters have come forward to say their efforts to uncover allegations against Weinstein were thwarted for years by everything from alleged victims’ refusal to talk to heavy-handed threats of litigation from Weinstein and his lawyers. But when you slice through all that, ‘extraordinary’ might not be the most effective adjective after all, said Crouss, an employment-law specialist and associate with the Springfield-based firm Bacon Wilson. She told BusinessWest that, in many respects, what happened at the Weinstein Company still goes on at firms that are exponentially smaller and with individuals who might lack the star power of actresses like Ashley Judd and Gwyneth Paltrow, but who nonetheless have the same basic rights. Specifically, she was referring to sexual harassment in its two most basic and legally identified forms — the presence of what’s known as a “hostile work environment,” and also the quid pro quo variety, where one individual promises something in exchange for something else. 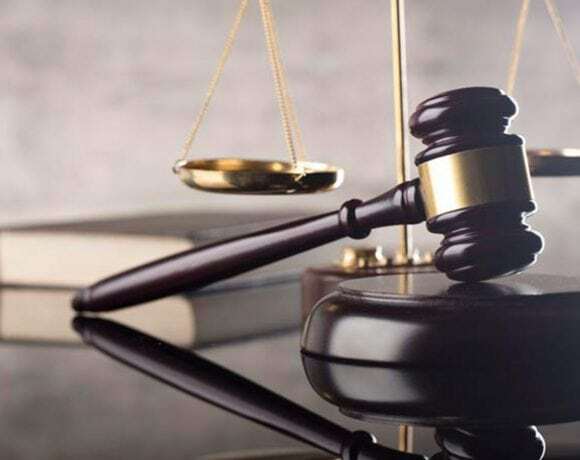 They both go on at companies and institutions large and small and across all sectors of the economy, said Crouss, basing those remarks simply on how much time she’s spent in court and in clients’ boardrooms handling such matters. Amelia Holstrom, an associate with Springfield-based Skoler, Abbott & Presser, agreed. “Sexual-harassment cases are on the rise, and, more importantly, retaliation cases have increased from 18,000 in 1997 to 42,000 in 2016,” she said, adding that some of those harassment cases involve individuals who reported sexual harassment and allege that some action was taken against them as a result of their complaint. Thus, the Weinstein story serves up some important lessons, or a wake-up call, if you will, said Crouss and others we spoke with, about employers’ responsibilities under the law, and what is really necessary to keep them from running afoul of those laws. In short, while the law requires companies with six or more employees to have a formal sexual-harassment policy on the books — meaning in the handbook — having a policy on paper is only the starting point. Peter Vickery, an employment-law specialist based in Amherst, said employers should be diligent about making employees aware of the policy, provide training to workers at all levels in recognizing and avoiding sexual harassment, and follow through on everything in the policy. “When they receive complaints, they have to investigate them immediately, or as promptly as possible, and follow up,” said Vickery as he listed clear takeaways from the Weinstein saga. “And whatever they do, under no circumstances should they retaliate against the employee who brought the complaint. Also, depending on what their investigation uncovers, take remedial action. For this issue’s focus on law, BusinessWest looks at the Weinstein case and, more specifically, what employers should take from it. Getting back to the Weinstein story and that word ‘extraordinary,’ it would also apply to the price that Weinstein and his company will be paying for all that transpired over the past few decades. Indeed, Weinstein the man and Weinstein the company name would both appear to be highly radioactive at this point and with very uncertain futures. The same can be said for other officials at the company, including Harvey’s brother, Bob. There will likely be criminal charges filed and enormous penalties to pay. Again, extraordinary. But the price to be paid by small-business owners and managers who run afoul of sexual-harassment laws are equally significant, at least when adjusted for scale. So how do employers protect themselves and their businesses from paying such penalties? The simple answer, said those we spoke with, is by taking the matter seriously, or very seriously, as the case may be. Most already do, said Holstrom, but the rising number of sexual-harassment and retaliation claims would seem to indicate they’re not taking it seriously enough. Or, to put it another way, they’re not taking a ‘zero-tolerance’ stance on the matter, a phrase used by all those we spoke with. There is much that goes into zero tolerance, as we’ll see, starting with the need to go well beyond placing a sexual-harassment policy in the company handbook. Additional steps could and should include yearly training, said Crouss, noting, for example, that this takes place at her firm. Beyond training, employers looking to protect their interests must take each complaint, investigate it thoroughly, and, when there is harassment between co-workers, take steps to stop it, said Holstrom, adding that when the matter involves a supervisor harassing a co-worker, the employer is automatically liable. And while she acknowledged that ‘thoroughly’ is a subjective term, she said objectivity is required, and she had her own advice for clients on such matters. “They have to meet with the accuser and get all the facts from that person,” she explained. “And then, they have to meet with the accused and gather information from that individual. And then, they have to meet with any witnesses that are identified by the accused, the accuser, or anyone else. And then, they have to follow up if necessary. “And then, the employer, using some common-sense principles and some evidence, decide who they believe,” she went on, adding that this is sometimes, if not often, an inexact science. Beyond acting ‘thoroughly,’ however it might be defined, companies must also act consistently, said Crouss, meaning that all cases are investigated and handled with equal vigor, regardless of who is accused of harassment. That includes women; top officials at a company, up to and including those who might have the names over the door and on the stationary; and the proverbial ‘golden boy or girl’ — a top producer, for example, or a popular employee, or even someone who has been around a long time and is generally well-respected. Creating an environment where employees feel they can lodge warranted complaints against anyone and they will be taken seriously and acted upon is inherently difficult, she went on, but this should be the goal for all employers; otherwise, complaints can and will go unreported, as they were in Weinstein’s case. One of the most troubling aspects of the Weinstein case, Crouss said, is the alleged perpetrator himself, the boss and power broker, a situation that, in some respects, goes a long way toward explaining why harassment still takes place. And this is why, she went on, at the grassroots level on up, it’s important for employers to be proactive and very clear about just what sexual harassment is and what employees can and must do if they believe they are victims of it. Zero tolerance and protecting a company and its leadership also means knowing, fully understanding, and taking steps to prevent (through training and other measures) those two main types of sexual harassment mentioned earlier. “Typically, someone must prove that she or he was subject to unwelcome/unwanted, verbal/non-verbal communication or action that was severe and pervasive enough to alter the terms and conditions of employment,” she went on, adding that, in sexual-harassment cases, examples of such conduct or actions include sexual advances, touching, and sexual jokes. Vickery agreed, and noted that employers should be mindful of the fact that hostile-work-environment claims can, and often are, lodged by those not being directly harassed but who are nonetheless working — or trying to work — in the same environment. 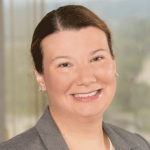 As for quid pro quo harassment (the term comes from the Latin and means “this for that”), it occurs when submission to or rejection of conduct is used as the basis for an employment decision, said Holstrom. But safeguarding a company from trouble with regard to sexual harassment extends beyond the walls of a company, said Vickery, adding that this is another possible lesson from the Weinstein story. Indeed, he said employers must be diligent about protecting employees from what’s known as third-party harassment, that committed by vendors, customers, and other parties employees might interact with. The key in such matters is employers “sending employees into harm’s way,” said Vickery, meaning that a supervisor likely knows harassment is possible or even likely, and sends the employee into that environment anyway. As extraordinary as the Weinstein case is, and despite the fact that it will be in the news for quite some time, this story, like so many others that came before it, has the potential to fade from memory, or fade to black, as they say in the film industry. Employers can’t afford to let that happen, in any sense of that phrase, said the lawyers we spoke with. They should acknowledge that this case represents extremes in many, if not all, aspects of sexual harassment and the prices to be paid for such transgressions. But they should also understand that it also represents the basics. And that there are important lessons to learn and remember. Eric Gouvin says law students, like the customers of any business, want return on their investment. Enrollment was already declining at law schools nationwide when the Great Recession hit, drying up the legal job market and driving the applicant count even lower. That forced a mass contraction at institutions across the U.S., including Western New England University School of Law. But its dean says the strategies undertaken to provide more return on investment for students has brought stability, and the future looks brighter than it has in years. Few law-school leaders are surprised that enrollment is slightly higher nationally than it was a few years ago — if only because it couldn’t get much lower. 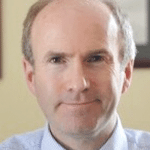 In fact, said Eric Gouvin, dean of Western New England University (WNEU) School of Law, 100,600 individuals applied to law schools during the 2003-04 cycle. In 2014-15, the number was 55,700. That’s a stark decline, but the numbers are starting to tick up — slowly. Still, no one expects them to soar anytime soon, meaning this has become a new normal across the country — with a few exceptions, like Harvard, which will always have its pick of top applicants. One reason for the enrollment drop was a declining job market for lawyers, one that began before the Great Recession but accelerated quickly after the 2008 financial crisis. By 2012 or 2013, graduates were finding it very difficult to secure positions right out of school. That job-market crisis has alleviated significantly, if only because fewer students are seeking a career in the legal field, and law schools — again, with a few, high-profile exceptions — have been forced to contract. Just before Gouvin became dean in 2013, the school launched a strategic plan to assess its current situation amid the national enrollment crisis, and where it needed to be given that environment. Part of WNEU’s strategy focused on giving students more return on investment, including a tuition freeze, instituted during the 2013-14 school year and extending through 2017-18. With the lowered revenues, of course, WNEU had to keep a close eye on expenses, and it was able to shrink staff through retirements, so that the school, staffed for 550 students when Gouvin arrived, is now staffed for 300 — a notable contraction, he said, but typical of what’s happening across the country. Still, keeping tuition down by reducing expenses is only one way to provide that much-discussed ROI that today’s law students crave. The other is to give them more of what they need to secure employment, and on that front, WNEU hasn’t let them down. For instance, the school has added new programs, some of them to attract students who aren’t necessarily looking to pursue a career practicing law. Such initiatives include a master of laws and letters (LLM) degree in estate planning and elder law, introduced in 2004. More recently, the school added a master’s-degree track in the same discipline. 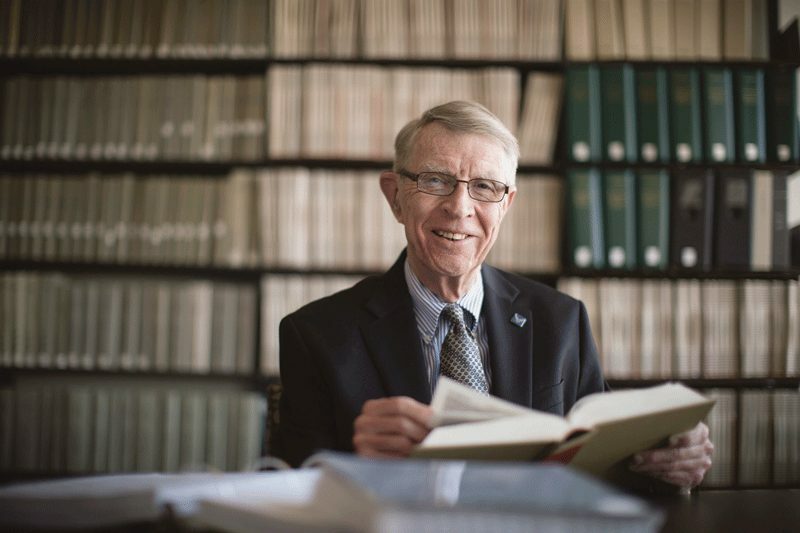 Another focus has been on what Gouvin calls student-centered professional education. 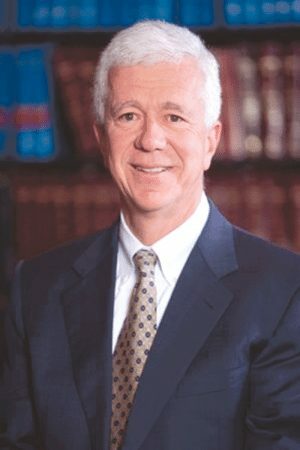 But he has led efforts to “up our game” in that area, particularly through the use of clinics — in areas such as criminal defense, criminal prosecution, elder law, and immigration (the latter in cooperation with Community Legal Aid), in which students blend classroom instruction with work on real cases, under the guidance of local attorneys. In fact, Gouvin said, about 88% of all students get involved in clinics and externships, understanding the value of developing not only real-world legal knowledge, but the soft skills that will make them more employable. Eric Gouvin says WNEU School of Law has raised its game by adding new programs and clinics aimed at giving students real-world experience. 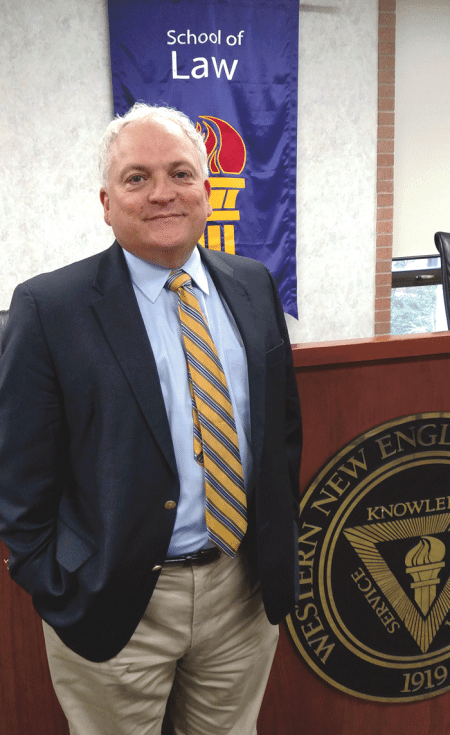 In making these community connections, Western New England benefits from its position as the only accredited law school in the Commonwealth west of Greater Boston, Gouvin noted. This uniqueness ensures a broad range of opportunities in the form of internships and clerkships. WNEU School of Law has also expanded its appeal by launching a master’s degree in law for students who have no intention of becoming lawyers, but who take classes alongside juris doctor students to develop an expertise in legal matters to bring to their chosen career, be it accounting, insurance, banking, journalism, fund-raising, or any number of other disciplines. That simple truth will always provide a stream of young people interested in practicing law, even if that stream has weakened in the new millennium. Furthermore, Gouvin expects graduates’ job prospects — and, as a result, interest in a law degree — to increase as older lawyers, whose assets were battered by the Great Recession and may have postponed retirement because of it, start seriously considering life after law. At the same time, he was quick to add, the industry is changing, and retiring lawyers won’t be replaced by the same number of newcomers. Technology has reduced some of the workload for attorneys, while paraprofessionals are performing many of the duties lawyers handled a generation ago. In other words, the future seems bright for WNEU, which started in 1919 as the Springfield branch of Northeastern, holding classes at the YMCA on Chestnut Street. “Like I tell alums, we’ve been here 100 years, and we’ll be here another 100 years,” he said, and that’s plenty of time to cultivate new relationships between students and the legal community they one day hope to work in. He cited a survey UCLA conducts each fall with its incoming freshmen, asking them what they want to do with their lives. Since 2000, the percentage saying they wanted to practice law has been on the decline, from 5.2% in 2000 to a recent low of 3.2%. But in the past two years, the number shot back up. It’s just another data point, Gouvin noted, to encourage those, like him, who are invested in the legal profession. Although a new version of the Form I-9 became mandatory only earlier this year, on July 17, 2017, the U.S. Citizenship and Immigration Services issued yet another revised Form I-9. On Sept. 18, 2017, use of the new Form I-9 will be mandatory, but employers who want to do so can start using it now. For many companies, a new I-9 presents a new opportunity to make an I-9 error, and those errors can be costly. Just using the wrong version of the Form I-9 can subject an organization to fines or penalties. On top of that, U.S. Immigration and Customs Enforcement (ICE) interprets its regulations to allow a fine for every single error on an I-9, and it may fine a company based on the percentage of I-9s that have errors. Form I-9 audits often begin with ICE’s unexpected visit to the workplace with a demand to see the company’s I-9 file. Along with increased focus on immigration enforcement, it is anticipated that ICE will increase Form I-9 administrative audits, making it more likely that a wide variety of employers will be subjected to an audit. Fines for knowingly hiring an unauthorized alien can be more than $20,000 per person, and fines for improper completion of the form can range between approximately $200 and $2,100. The newest I-9 appears straightforward to complete. However, there are 15 pages of instructions on how to complete it that contain many specific details, increasing the risk that a mistake will be made. ICE is not likely to be hesitant to impose a fine for those mistakes. Buffalo Transportation Co. made copies of employees’ identifying documents required to complete their I-9s but did not actually complete the I-9s in a timely manner, resulting in a $75,000 fine. Panda Express recently paid $600,000 to settle claims that it discriminated against immigrant workers when verifying them for employment. Panda Express is alleged to have required immigrant workers to provide documents that they were not legally obligated to provide and also made some immigrant employees re-verify their work eligibility even though they were not required to do so. The use of the newest Form I-9 is designed to help employers eliminate errors, but will provide employers with fewer reasons to complete it incorrectly. Should Your Company Conduct a Form I-9 Audit? I-9 errors are very common. It is not unusual for employers and employees to speed through the hiring paperwork. Companies should take a look at a few of its I-9s. Errors that might be discovered may be as simple as an employee reversing his or her first and last name or forgetting to date the form. An employer may neglect to insert the first day of employment, which, prior to the newly revised form, was easy to do because the request for the date was among other text, making it easy to miss. It is also not uncommon for the company’s authorized representative to sign but not enter his or her title, name, or the date. More serious (yet just as easy to make) errors relate to verification documentation. Frequently, employers do not enter an acceptable List A document or acceptable List B and List C documents. On the other hand, some companies have both A and B or C documents, which is also an error. Something as simple as not entering the document title, issuing authority, number(s), or expiration date for the documentation presented can be costly. So, take a look at your audit files. Is every section that needs to be completed fully and accurately completed? Is Section 1, the section the employee is required to fill out, complete, dated, and signed? Does your authorized representative know the difference between a lawful permanent resident and an alien authorized to work? Is the Employer’s Section, Section 2, completely filled out? Does the List A document or the List B and C documents section contain all information, including the Issuing Authority? Are photocopies of the documents the employee presented attached, and, if so, why? If you find even a few incorrect I-9s, you should conduct a full Form I-9 audit. If you are not knowledgeable about I-9 requirements, you should consider working with an attorney to conduct the audit and provide confidential legal guidance on how to correct them. An employer could also get into trouble for incorrectly fixing the error. ‘Correcting’ an I-9 incorrectly defeats the purpose of an audit. While an internal audit does not insulate companies from penalties for violations, an audit that accurately identifies problems can provide guidance for employers going forward.